I'm sticking with '80s music for my Classic pic. Of course, I could go on forever with '80s stuff, couldn't I? The music wasn't nearly as vapid as people like to believe it was. The 90s was much worse overall. New Order's Technique gets the nod this month. 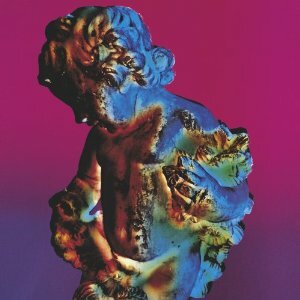 Much could be argued about best New Order song - and they have many, but I think Technique wins out for best overall album. Consisting of only nine tracks, there really isn't a bad one that exists. It's disco without the disco; pop with out too much pop. It's a perfect blend of the two and a bit more upbeat than say Low Life or Power, Corruption & Lies. Mind you, "upbeat" is all relative from a band that formed from Joy Division. Originally released in 1989 (a newer, expanded 2 disk version was released a year or so ago), I'm sure they played some of this stuff in the Columbus gay bars, but it's the U.S., so there weren't really any big hits - certainly not radio ones. "Fine Time" and "Round & Round" hit the dance charts, if I remember. Bernard Sumner has his trademark vocals.....well his later in career trademark vocals. Earlier on, he wasn't as melodic, nor did he need to be - it was the early 80s, no one cared. Yes, there really isn't a bad song on the disk, but of course I have my favourites: "Vanishing Point", "Dream Attack", "Guilty Partner" are the highlights. But I rotate the disk on all my iPods frequently - and 21 years later it hasn't gotten old. New Order has had some stellar stuff before Technique and some really great below the radar stuff afterwards too - but as a whole, this is the one to get. Fine Time is always on any and all of my work out playlists.